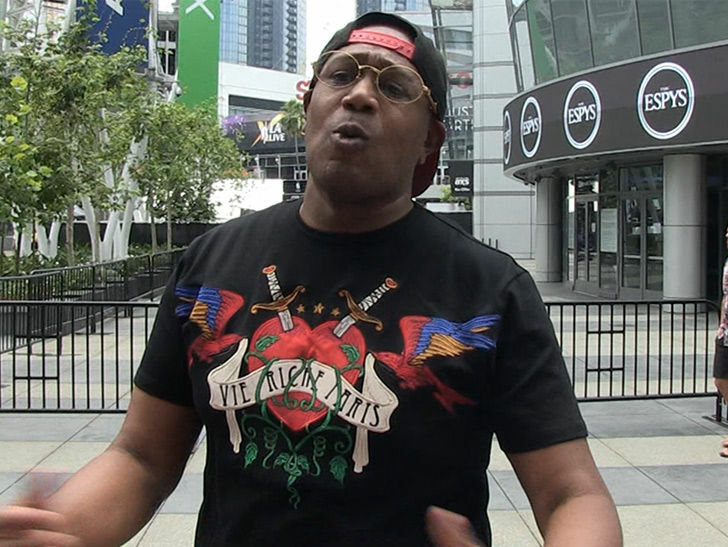 Master P says the Raptors’ GM is about to be fired … ’cause he thinks there’s no way in hell the DeMar DeRozan trade works out — telling TMZ Sports, DeMar “was bigger than Vince Carter” in Toronto!! We got P out at L.A. Live … and he didn’t mince words when it came to his disdain for the swap that sent DeMar to the Spurs for Kawhi Leonard. P tells us DeMar was so good for the Raptors … they need to build a statue of him in Canada, and they need to do it before one of V.C. is raised. Full disclosure … Master P’s known DeRozan for about 20 years, coaching him during his high school years … but regardless, P says he knows Gregg Popovich is about to get a beast.